A Comprehensive Study of Egyptian Arabic. Volume Three (3) A preliminary edition. 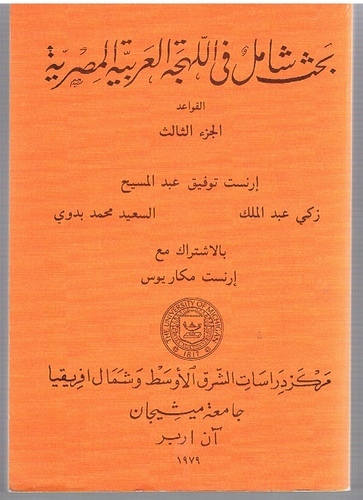 A Reference Grammar of Egyptian Arabic.